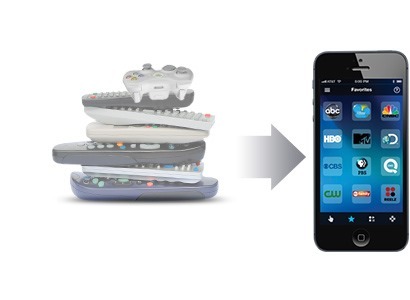 Of all the uses a smartphone can bring to the table, universal remote facilities are utilized by many a consumer. While some devices come equipped with an infrared sensor right out of the box for this very purpose (among others), the vast majority, including Apple’s iPhone, do not offer such a feature as standard. Luckily, renowned peripheral expert Logitech has come through with its nifty Harmony Ultimate Hub, which allows you to turn virtually any smartphone into an all-singing, all-dancing universal remote control for just about any piece of kit you may have lying around. Details after the jump! The Harmony Ultimate Hub is a combination of accessory and app, and while the hub allows for up to 8 devices to connect and via Bluetooth connection, the app provides a very slick interface from which you can then boss every TV, hi-fi and Blu-ray player in your place of residence. Of course, those with IR sensors packed into their smartphones might simply baulk at the chance to snap up the Logitech Harmony Ultimate Hub, but this little beauty is far more versatile than anything you’re likely to find elsewhere. 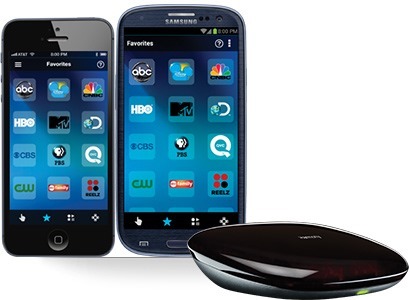 Not only does the Bluetooth connection mean you won’t need to be pointing your handset directly at the device you’re attempting to control, but since Harmony is compatible with literally tens of thousands of home theater systems, you’re unlikely to encounter any issues getting it up and running. It will play nicely with your common streaming services such as Netflix and Hulu Plus, even if you like to run these apps from your games console. 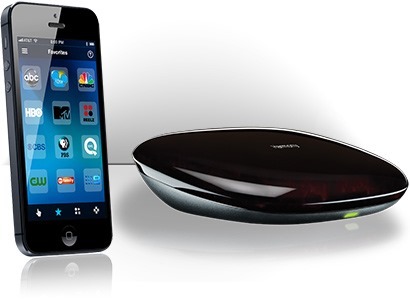 Logitech’s previous effort in this field also included a Harmony remote, which drove the cost up to $250. But by bringing an app and allowing your smartphone’s hardware to work the magic, the Harmony Ultimate Hub costs just $100, and would seem an almost must-purchase for any big fan of TV. Having also dropped some pretty useful iPad keyboards in the past, Logitech’s reputation speaks for itself, and if you were looking for a decent universal remote solution, you’ll want to keep your eyes open for the launch of the Ultimate Hub, expected to hit the US and European markets this coming August.